Occasionally, you will receive a payment for something other than an Accounts Receivable Invoice or Client Deposit. A Non A/R Receipt is used in cases where the incoming funds are not to be applied to an Accounts Receivable item. 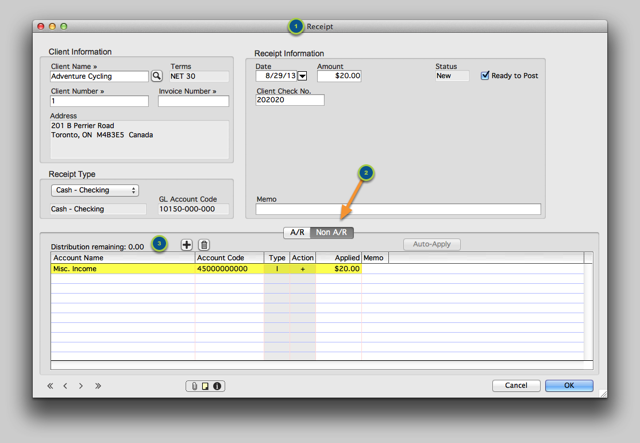 Acctvantage allows for Non A/R Receipts to be tied either to a Client or a miscellaneous payer. Vendor refunds and payments received from employees are just two examples where you may find a Non A/R Receipt to be useful. This lesson will only cover the specifics of Non A/R Receipts. For the basics on entering a Receipt see the article on how to Receive a Payment from a Customer. Create a New Receipt and enter the relevant data. Select the Non A/R tab. This is where you will charge the payment directly to a GL Account. Anything entered in the line items section will be a CREDIT to that account. You can tell whether this CREDIT will increase (+) or decrease (-) the selected GL Account by the symbol in the Action column. Note: A Receipt can be split between the A/R and Non A/R tabs. This would be helpful if your Client is remitting payment for A/R items but you also charged a restocking fee for unrelated returned items. You'll first need to enable a System Configuration setting to be able to enter a Receipt from someone other than a Client. Navigate to Administration ➤ System Configuration. 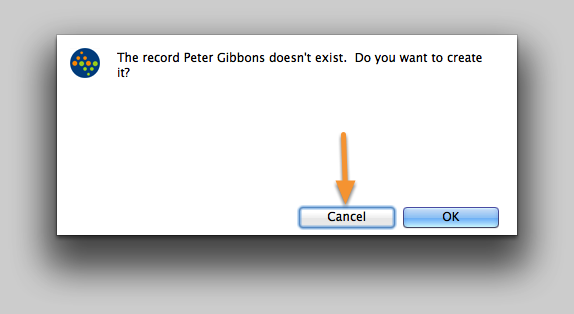 Select Receipt from the drop-down list. 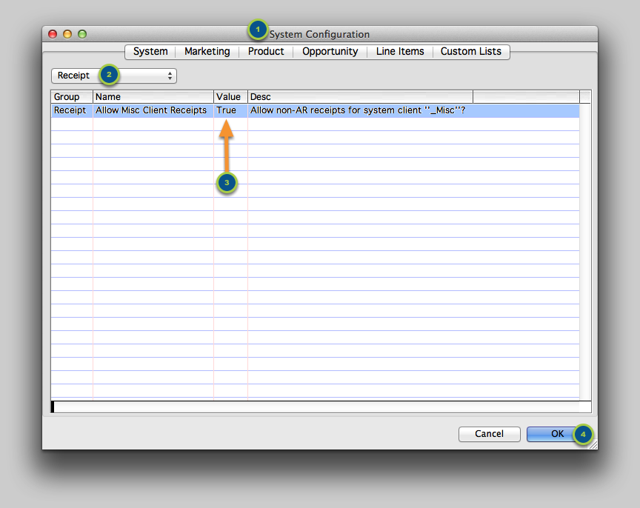 For the setting Allow Misc Client Receipts, double-click the Value column to set it to True. 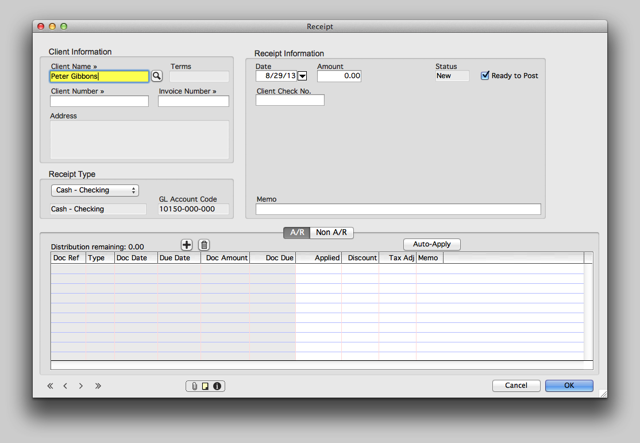 With the System Configuration setting enabled you can now Create a New Receipt. Enter the name of the miscellaneous Client and click OK to continue process the Misc Client Receipt. You can now continue to process the Miscellaneous Client Receipt using the Non A/R tab.